Dota 2 International 2017 - Who Will Win 10 Million Dollars? The best time of the year for Dota 2 fans is fast approaching! The International 7 is right around the corner, and we’ve got you covered in this article with all the information you need to know before you can just sit back, relax, and enjoy the action! This is gonna be the 7th edition of the International, and the games will be played in Seattle/WA for the 6th consecutive year. All of the tickets for the 17000 capacity Key Arena have already been sold out, on the same day they went on sale. But you can still watch every bit of action on Dota2’s twitch channel (they will cover it in other languages besides English as well). The group stage will play out from August 2nd to Aug 5th and the playoff stage is gonna happen from August 7th to August 12th. The International will feature 18 teams from every corner of the world, including a crew from South America for the first time ever: Infamous. 6 squads were directly invited based on their performance throughout the year, while the other 12 had to fight for their spots through the fierce qualifiers. Many past champions failed to qualify, showing how stacked and competitive the scene is right now. Group stage: The 18 teams are divided into 2 groups of 9, where they play in a round robin format, with each match being best of 2 (that means plenty of games for us to watch! Every crew gets to play at least 16 matches before getting sent home). The top 4 squads in each group get seeded directly into the Upper Bracket of the playoff (guaranteed 12th place), while guys placed between 5th and 8th go to the Lower Bracket, and 9th place is eliminated. Playoff stage: The playoff is Double Elimination, with 8 crews starting at the Upper and another 8 on the Lower Bracket. All matches played are Best of 3, with the exception of the first round in the Lowers, which is Best of 1, and also the Grand Finals, with a Best of 5 match to decide this year’s International champions. As per costume, TI 2017 prize pool is crowdfunded through in-game micro transactions. It starts at $1.600.000, and as of the time writing this article, already reached an insane amount: $22.366.636 (a nearly 1300% increase! ), breaking last years International record for biggest prize pool in the history of eSports. Dota2 is already the #1 in terms of eSports money distributed, with $100.000.000 against League of Legend’s $41.000.000. And that’s not even counting this year’s 22million+ prize pool! Just for curiosity, with today’s numbers, the last place on the tournament would win $55,914, while the winner would take home a whopping amount of $9,840,808. 6 crews were directly invited to the competition: OG, Virtus.pro, Evil Geniuses, IG, Newbee and Team Liquid. The others went through qualifiers: 3 spots for China, 2 spots for North America, 1 spot for South America, 3 spots for Southeast Asia, 2 spots for Europe and 1 spot for the CIS region. Many people consider OG to be the favorites for the International 2017. 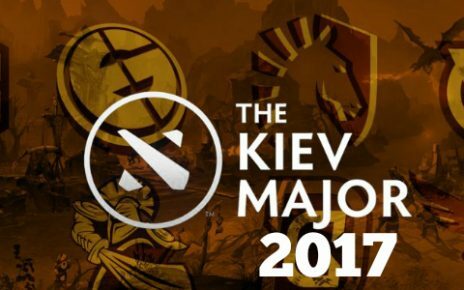 And it’s hard to argue otherwise, as OG has won 4 majors in past, including the last one in Kiev, only a few months ago. With that in mind, we should not forget that many people were expecting them to win TI last year but they disappointed many fans during the playoff stage. OG has world class players in every position: N0tail as the hard carry, Ana as the middle laner, s4 on the offlane, and the support duo of Jerax and Fly (the captain and drafter). They like to run drafts that favor midgame teamfights, and they’re great at executing their strategy. Even in games where they lose most of the lanes, OG is able to comeback due to their strong midgame presence. Virtus.Pro represents the biggest community of Dota 2 – the players from the CIS region. The region that lacked a strong contender since the old Na’vi days from Internationals 1 through 4, now sees in VP their shot at another TI title. With impressive deep runs throughout the year, many fans think that VP can go toe to toe with any other team in the world right now – and their recent LAN win at The Summit 7 also hints towards that idea. Virtus.Pro reached the grand finals without picking a single hero more than once. They only repeated their picks on the deciding match of the tournament, game 5 of the grand finals. Truly an amazing feat, and we can expect great things from this crew. They favor a very aggressive style right from the start, gaining huge advantages early on and pressuring their opponents relentlessly until the game is over. Team Secret won the Europe qualifiers with ease, as expected from a squad of this caliber. As a team, they’ve had an unstable year compared to their former glory. They were considered by most the best roster in the world during 2015, before failing at The International 5 – a huge hit to the fanbase who expected them to win. Team Secret’s last title was The Shanghai Major back in 2016, having failed to win any premier tournament so far in 2017, despite looking good in a few of them (They were the runner up for The Summit 7 that VP won mentioned above). With that said, Secret can still pull off wins against other big crews in the world, especially because they have one of the most hyped players in the world right now: Yapzor. He plays in the position 4 as a support and consistently puts on a show with his signature Rubick. He’s truly amazing to watch. Hellraisers had to go through the Open Qualifiers and then through the Main Qualifiers for Europe to get to where they are. They had a tough time qualifying, and for a team without any prior LAN wins (or even attendances), their expectations for The International aren’t very high. I would consider it a success for the squad if they can make it to the playoff stage. You should keep an eye out for 33, their offlane, who can pull some victories in for his crew. Empire qualified on arguably the weakest qualifier there was: The CIS region. Other than VP, the region lacks another great team with the potential to go deep in this International. As Hellraisers, anything beyond the group stage is gonna to be considered as a success for these guys. Their aggressive playstyle could, however, end up surprising some teams and that could lead to some victories, albeit unlikely. Evil Geniuses is probably the crew with the biggest fanbase in Dota 2 right now. All their players have huge followings and are world class in their respective positions. 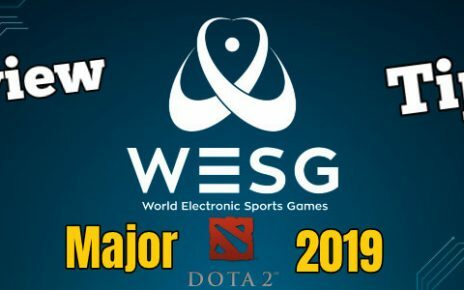 They’re a team expected to go deep in this tournament, having won 2 premier competitions this year (The Manilla Masters and Dota Pit League Season 5), and coming second in the Epicenter. They’ve also been top 3 at the last 3 Internationals, always showing consistent and high-level performance. They have players capable of making game-changing plays in almost all positions, with a special mention towards Sumail, considered by many the best mid laner in the world. He almost always dominates his lane and puts Evil Geniuses in a good position heading to the mid game. Team Liquid also has a huge following, but not as big as EG’s. They also arrive strong this year, having a good shot at making it to the top 3. They’ve won 3 premier tournaments this year (EPICENTER beating EG in the grand finals, StarLadder i-League Season 3 and StarLadder i-League Invitational #2) and made deep runs on several others. They have the veteran Kuroky in their roster, a guy who has been around the pro scene at a very high level dating back to the Dota 1 days on Warcraft 3. Coupled with younger guys hungry to win, his experience might be the tipping point to secure wins in close matches. Like Hellraisers, Cloud 9 played the qualifiers as NP and then got picked up by the organization after they qualified. They battled it through on the North American qualifier, winning it somewhat easily. The team has a strong line up of veteran players and I’d put them as a middle of the pack crew, who will likely finish around 8th place. With that being said, we have to consider their playstyle. They play a very ‘chaotic’ Dota, with many of their battles often going really late game, past the 1 hour mark. In those matches, anything can happen and Cloud9 can certainly pull some upsets and make it deeper in the tournament. DC came 2nd in the North American qualifier, to the surprise of many, who thought they were only the 3rd strongest team competing for 2 spots. The squad shouldn’t be a contender for top 6, and will most likely get sent home at the early stages of the playoffs. One player to pay attention during their games is Abed, the mid laner. He reached 10k MMR recently, the first player to do it in the world. This is the first time Valve set a spot for a South American roster to qualify for the International. The competitive scene here is still in baby steps compared to the rest of the world – not many professional teams and not many opportunities to play on LANs. Just being on TI is a huge win for Infamous and the scene as a whole (they’re from Peru) and they’ll most likely fall short in the group stages. They do have a player who impressed the world on the qualifiers though, Timado. He might be able to give opponents a hard time in their games. 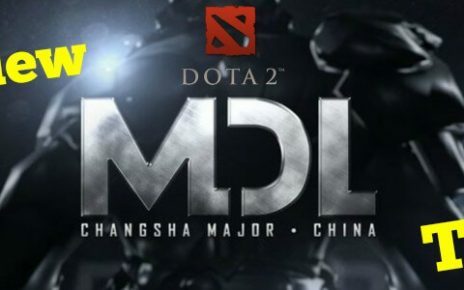 IG has always been one of the big Chinese powerhouses in Dota 2. This year they won the Dota 2 Asia Championship (3-0ing OG in the grand finals) and got a direct invited based on the performances. Anything less than top 6 for these guys could be considered as a disappointment, as they have the legendary carry BurNIng and coach rOtK leading the squad. This year, the Chinese meta is very different from the western – as could be seen during the qualifier matches. This means we’ll get a nice clash of regions to determine who comes out on top. Will be exciting to watch! From the same organization as IG, this roster got through the Chinese qualifiers in 1st place. This gives them a lot of confidence headed into TI, as the Chinese selections were heavily stacked and a bunch of high caliber pros failed to qualify. Their last trophy was WCA2016 last year, and this year they’ve made several middle of the road attendances – never very close to the top but never getting knocked out early in most competitions. Because of that, they’re a hard team to predict a position. I would put them around 7th-9th place. Newbee is coming to Seattle to win The International 2017. They have what it takes to win it all: a good and experienced captain in Faith and 4 extremely skilled players at his disposal. All the guys have very large hero pools, making it very hard to draft against the crew while giving them a wide variety of strategy options to choose from. Look out for the Moogy/Sccc duo during their matches. These 2 cores are very good at farming and work very well together during mid and late game teamfights. Everyone loves a good underdog story. And that’s what LGD.FY is. After some lackluster results since the middle of 2016 and a variety of roster changes, they managed to settle on a lineup and qualify for TI, with a mix of experienced players (super and ddc, who have played other TIs in the past) and fresh blood on the scene (the other 3 guys). They play a heavy pressure style and try to get to lategame with their 2 cores stronger than the other team, so they can end the game right there. One thing that they have to prove is that they can play other strategies and that there is a reasonable hero pool to pick them from. LGD is a more established team than LGD.FY, with more “battle proven” players and coach. And that comes with higher expectations for The International. Coming 3rd in the Chinese qualifiers, they’re expected to outperform most western teams and achieve at least a top8 spot. Maybe (that’s their mid player’s ID) is on the rise and has shown he can reach an extremely high level of play. We have to wait and see which Maybe shows up this year. TNC is the best hope for the SEA region on this TI. They crashed through the qualifiers and have been playing at a good level this year, having won WESG 2017, beating C9 in the grand finals. The other teams don’t have much experience playing against them or other squads in the region, so their meta and drafts could catch a lot of people off guard – meaning they have a shot at bringing down some crews considered better. 2nd place in the SEA qualifiers, Fnatic is a team that has undergone a lot of roster changes in the past. Right now, their lineup consists of 2 players from Malaysia, 1 from the Philippines, and 2 from South Korea. So far they have been working well together, but they haven’t been tested at the biggest stages yet. Compared to the other teams they’re also underdogs, looking at a lower part of the table finish this year. Coming from the open qualifiers on the SEA region, Execration will have to battle hard if they wanna make it to the playoff stage. Getting there would be a huge success to this crew, with mostly unknown players to people outside of the region. They’re the biggest underdogs of the tournament, together with Infamous. Thanks for reading my article and staying until the finish. I will see you in my next piece. Good luck!